The program is open to kids in second through fifth grade who are on the autism spectrum and have a shared interest in trains. The New York Transit Museum in Brooklyn is where train and transportation enthusiasts can literally touch the city’s past, but for a group of kids known as the Subway Sleuths, it’s also a key to the future. 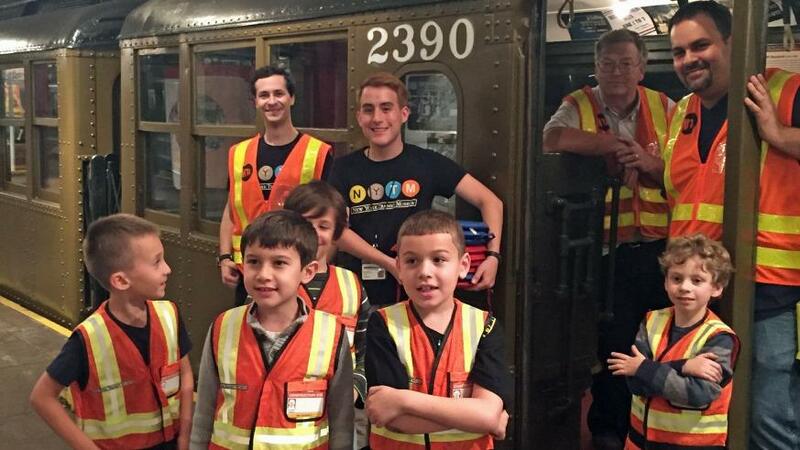 Started in 2011, the museum’s Subway Sleuths program has welcomed 150 kids in second through fifth grade who are on the autism spectrum and have a shared interest in trains. Each session features goal-oriented activities that help participants develop social skills, confidence and more. Activities include games like “Two-Minute Turnstile,” where the kids walk through the vintage turnstiles leading into the museum that’s housed in a decommissioned subway station. The program also helps alleviate the anxiety some Subway Sleuths may have riding the real subway, from adapting to a late train to being aware of their surroundings. Last year, Subway Sleuths was noticed by former first lady Michelle Obama, who honored the program with a National Arts and Humanities Youth Program Award. Applicants are closed for the fall semester of Subway Sleuths, but the spring semester will likely begin taking applications in December. Visit nytransitmuseum.org for info.